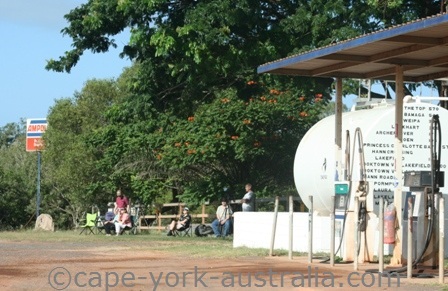 There is a next solar eclipse coming up in Cape York! 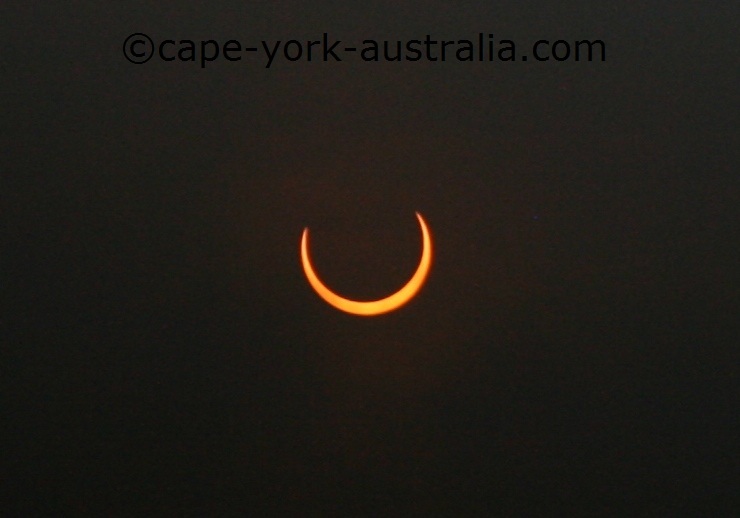 After the beautiful solar eclipse that we had on the 14th of November 2012, we have a next one coming up! 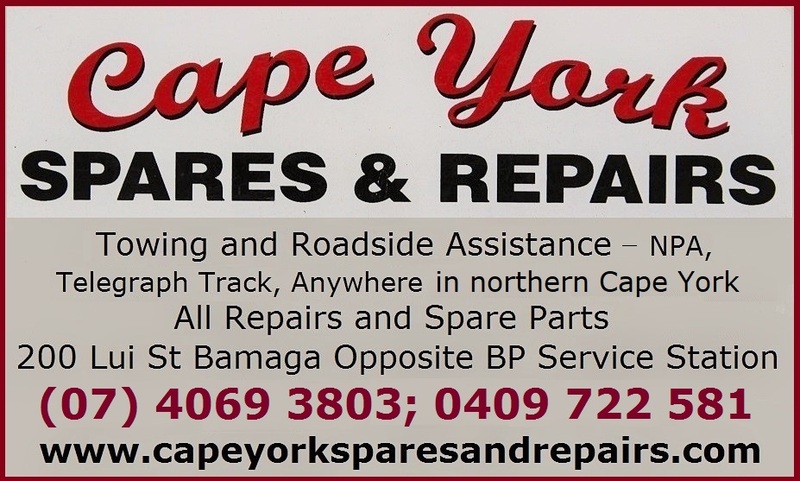 It is on the 10th of May 2013, right here, in Cape York! 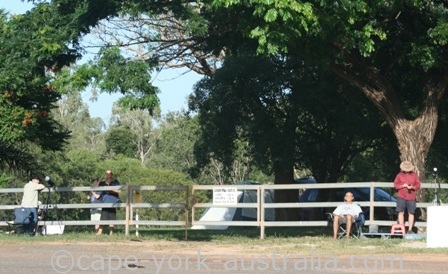 It is further north than the solar eclipse 2012, so its centre is not in the Cairns area like was the last one. 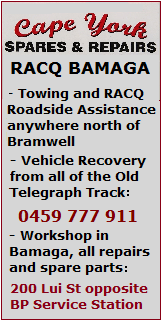 UPDATE - this is obviously now history, scroll down or click here to see how it was. The next solar eclipse is more remote, and its centre is roughly in the area between Coen in the north and Hann River Roadhouse in the south. 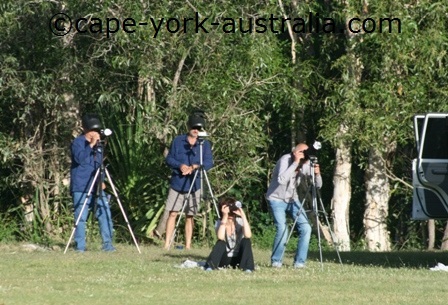 Its very centre will be seen from Musgrave Roadhouse, so we can hope for a next week-long festival! 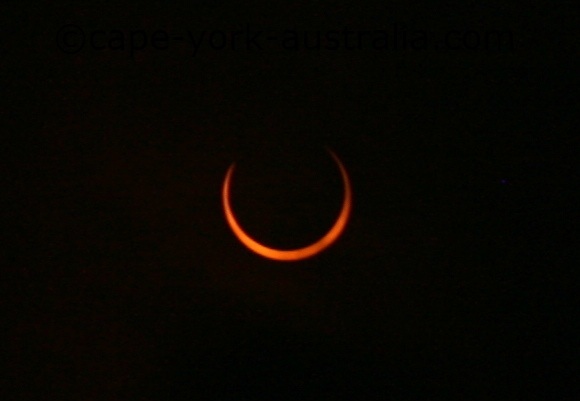 While the 2012 solar eclipse was a total eclipse, the next solar eclipse is an annular eclipse. It means the next solar eclipse won't bring total darkness, because the moon is too far from the Earth to entirely cover the sun's surface. The best phase of the next solar eclipse is a ring that you can only watch with eclipse glasses or else you will permanently damage your eyes. It was great, except, that exactly where we watched, a cloud swept over it right at the worst moment, but it was still fantastic, and we could still see the ring. As opposed to the 2012 solar eclipse (which was a total eclipse), the 2013 eclipse was an annular one, which means that it does not get totally dark. However, as opposed to a partial eclipse, the moon still goes across the centre of the sun, creating a so called 'ring of fire'. The event was on my list ever since the solar eclipse 2012. 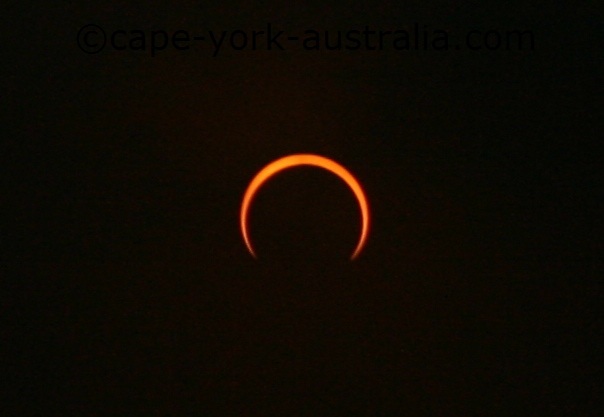 But because it was in May, which could still be a late Wet Season, and with the very late-season Cyclone Zane, it was still unclear only weeks before whether I was ever going to see the solar eclipse 2013. Then the weather cleared. 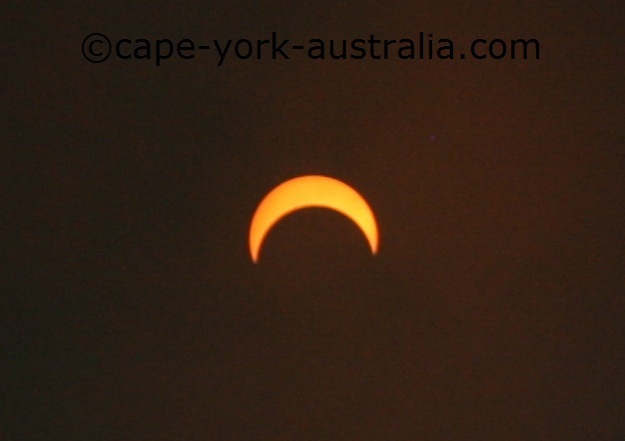 For starters our chances actually looked better than with the eclipse of 2012. 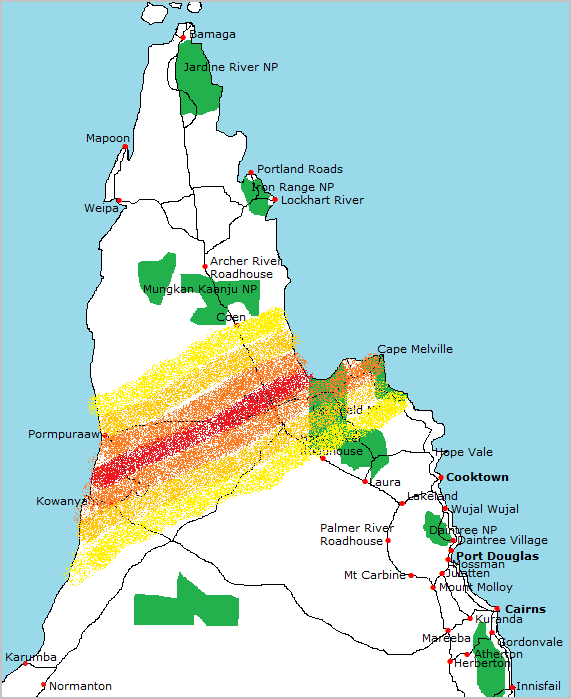 We were headed to Musgrave Roadhouse, in the middle of the peninsula, safe for sunny skies and no risk for any coastal rains. 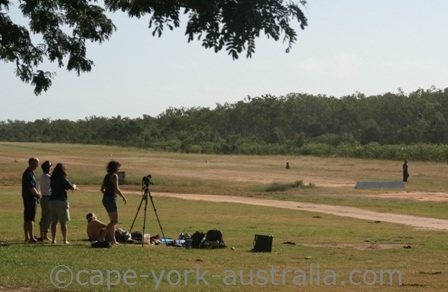 On top of that being next to the Musgrave Airfield, there was plenty of open space. The night before the skies were clear with millions of stars and no clouds to be seen. 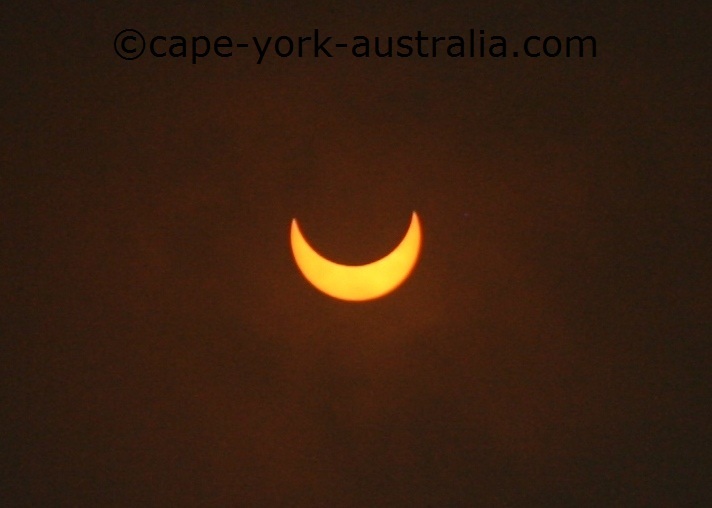 Good start for the solar eclipse 2013! 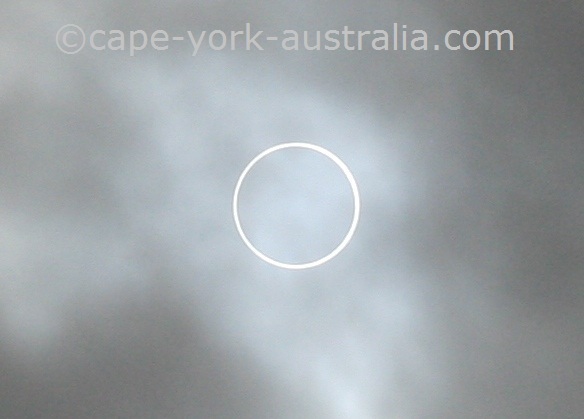 But in the morning the sky was half cloudy so it was anyone's guess whether we would see the solar eclipse 2013 at all. The partial stages of the first half were sunny, more or less. At least I was able to use the solar filter for them all (hence the black background). 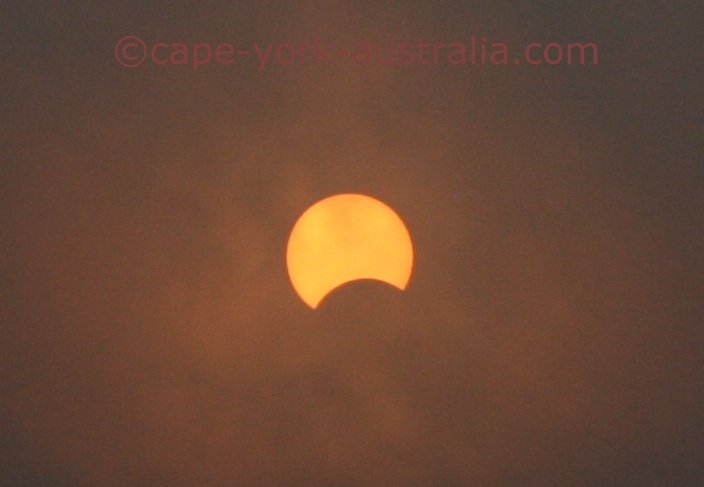 So I couldn't use the solar filter - the cloud is filtering it. The whole four minutes that the face lasted I couldn't get a less cloudy photo than the one above. By the time the cloud moved it was back to the partial face - of the second half of the show (again I could use the filter). And from there on it was more or less cloudy. Despite all it was worth all the effort and hey - it could have been worse!